Amidst a lot of confusion after the ISL draft, Mohun Bagan clears the air with their squad list for the upcoming season of Calcutta Football League which will change as the I-league and Federation Cup comes closer. 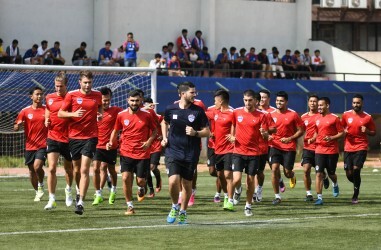 After a season which saw the Greens-and-Maroons miss out on the I-league and Federation Cup in a virtual semi-final and final respectively, the Kolkata club has announced their team for the upcoming season of the Calcutta Football league. Shilton Paul, Soram Poirei, Shibinraj K and Mithun Samanta are the four goalkeepers on MB's radar this season. Looking at the list, it is quite certain that Shilton Paul will take the starting role, with former DSK Shivajians and Delhi Dynamos shot-stopper Soram Poirei deputising. Sambhalpur Academy youngster Mithun Samanta and Shibinraj K will be expected to be given chances in cases of emergency. There are 13 defenders on Mohun Bagan's cheque-book this season, featuring some real powerful names like Kingsley Eze and Kingshuk Debnath, who's been appointed the captain of the side. Ricky Lallammawma, Bikramjit Singh, Abhishek Das, Debabrata Roy and Surajit Sil are the other names which could be given a look in. Returning from U-23 National duty, Sarthak Golui is ticking the right boxes and will push for a starting role after playing good games against Qatar and Turkmenistan the U-23 AFC Championship qualifiers. Bikash Saini, Suman Hazra, Bikash Saini, Washim Akram Mullick and Gurjinder Kumar are other names on the roster. 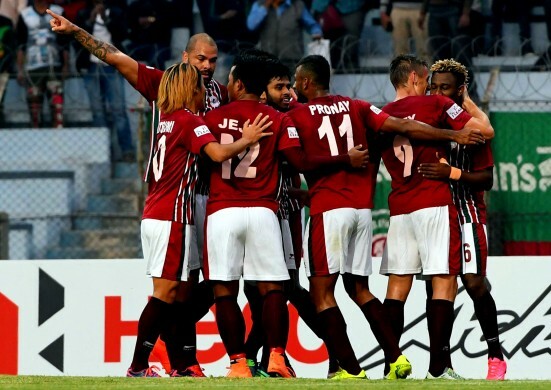 After buying dynamic Churchill Brothers' winger Chesterpaul Lyngdoh, the Greens-and-Maroons have also managed to have an impressive midfield department. One of the most impressive Indian talents at one time, Shilton D'Silva will expect to make the right headlines again. Denson Devadas, Nikhil Kadam, Raynier Fernandes and Israil Gurung will be expected to lead the line. 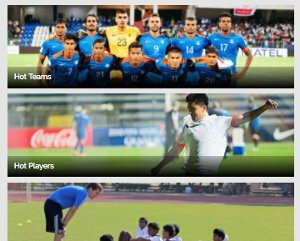 Also Read: Weekly Indian Football Transfer Round-Up! The support will be provided by Pintu Mahata, Sourav Das and Rohit Mirza. The team looks in good shape up front. With last season's Derby goal scorer Azharuddin Mallick coming closer to a starting XI, it will be difficult for Kamo Stephane Bayi and Ansumana Kromah to start on the side. 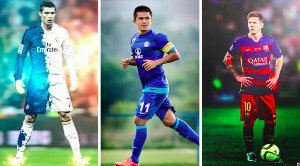 Indian youth internationals Uttam Rai and Hari Shrestha will also be in the reckoning to get minutes under their belt after being ignored by the ISL sides in the draft.